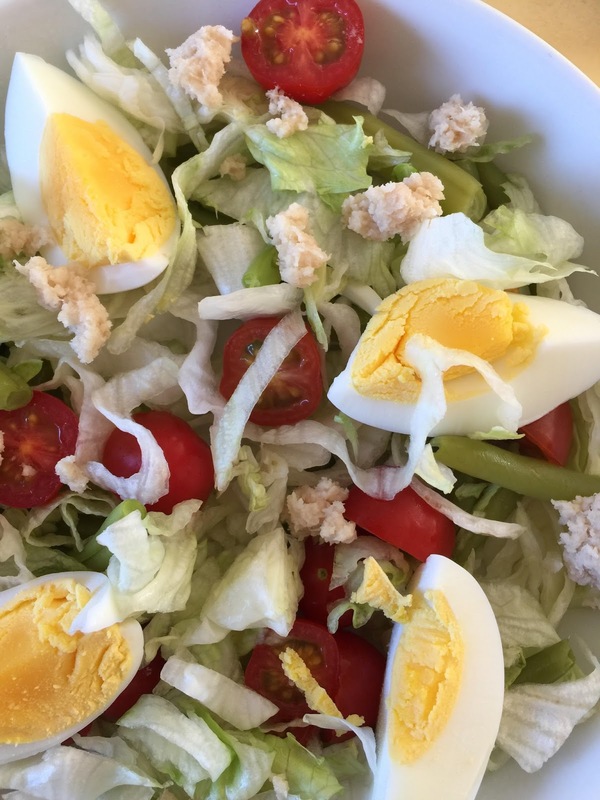 A Nicoise salad, you know with green beans plus eggs and lettuce plus tuna. Veggie one for me. It was really nice and with the sunshine we’ve been getting more of extra cheerfull. So yes we’ve had delicious dishes on the table. 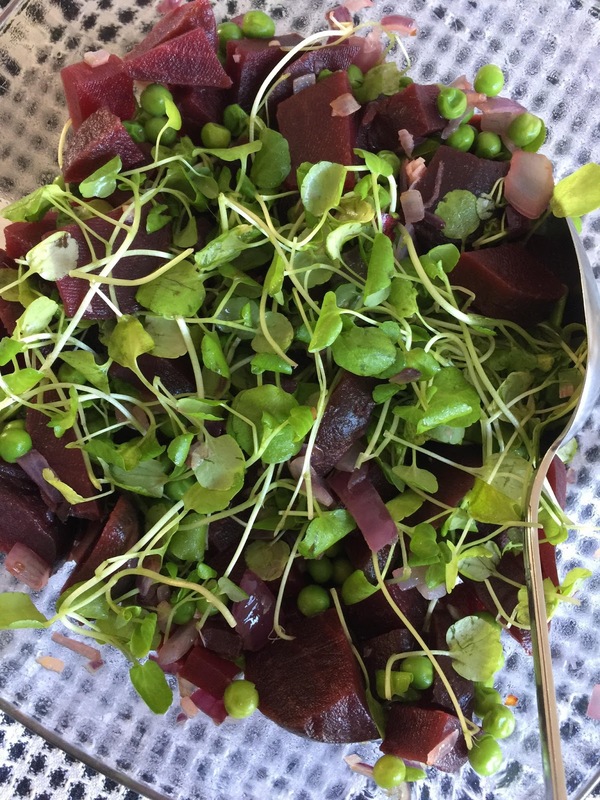 What salad have you made recently? Has it been sunny at your home? Do tell!